Shayera comes from the planet Mongo. The planet is a conglomeration of many different races all separated by kingdoms. The entire planet is ruled by a ruthless, conquering warlord by who goes by the name of Ming The Merciless. He's gathered these races by conquering their worlds and depleting the natural resources from the planet and then enslaving the population. The slave populations had earned a modicum of freedom as Ming allows them to self-govern as long as his will is done. For Shayera, the only way to bring her family out of poverty and the threat of being sold back into slavery was to join the military. Either that or to get sold into a brothel, so Shayera jumped at the chance and entered the Academy. She not only went through the ranks but excelled. She elevated herself out of the ranks of the winged infantry and landed into espionage school. She graduated at the top of her class and was assigned to go to Earth to be an advanced scout. Ming uses scouts and sends them to other planets in an effort to gather information. He takes the information and uses them to plan out which planets he conquers next. Once Shayera had arrived on Earth, she realized that the world was like nothing she'd ever seen. Technologically primitive, the world seems to treasure it's most natural resource: it's citizens. A people looking to the future with a taste of true freedom, Shayera fell in love with Earth and humans and what this could mean for her own people. She made the conscious decision to become a double agent. She will send Ming enough information to keep him satisfied while preparing Earth for Ming's invasion, hoping to bring him down and restore freedom to her people. Shayera has a duty to the Hawkpeople and is both proud and honored to be fulfilling such a vital role for her people. Her entire life has been in service to Mongo in one form or another. She extends that sense of duty to her protection of the people of Earth as well. 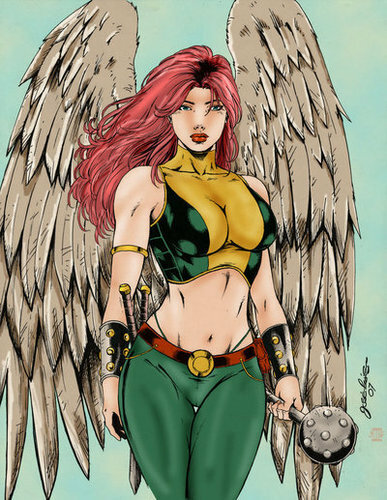 Shayera is trained military and comes from a race of militaristic people. She's been trained from near-birth on how to be the perfect soldier. She follows orders, she gives orders, and can be considered cold and calculating because of that. Her people skills are seriously lacking, though she tries to work on it in her interactions with humans. Shayera sees a goal and stops at nothing to achieve it. To her, fighty dirty is just taking an open advantage. She also has no qualms with eliminating threats permanently. Shayera's prime motivation is the continued existence of her people and the freedom from enslavement by Ming. After feeling responsible for Earth, she's also motivated to protect the humans by thwarting Ming's plan to enslave Earth as well. Shayera's goal is to rid the galaxy of the Mongo threat, and ensuring the lives of her people forever. She also wishes to keep the people of Earth protected as well. Thanagar is different from Earth and because of that, Shayera's body can take more damage. She has both enhanced durability and strength. She can lift about 1 ton unassisted and can withstand damage from melee weapons and bullets (blunt force) however she has no defense against energy-based weapons or powers. Shayera has wings. Real, honest-to-goodness wings, feathers and all. This wings allow her to fly, much like a bird. However the wings are controlled by mucles, and after awhile they begin to get tired and give out. She can fly from one coast of the US to the other without resting, but anything further would be pushing it. Shayera has a mace made of Nth Metal, a powerful material native to her people's home planet of Thanagar. It has been mined to extinction, but there was enough hidden to forge her the mighty weapon. It has anti-magical properties and is super-conductive, able to invert subatomic particles. This is her primary walloping weapon of choice. Shayera brought some gold and gems with her from Mongo, to use as currency once she arrived. She sold it for cash and has a decent enough amount to keep her in operations for a few months. She can afford her apartment and supplies for the next three months before she needs to find some other way to sustain herself. Shayera has a modest apartment in Metropolis that she's paying for with the money she got from the gold. It's a small studio, with roof access and enough room for her and her wings. 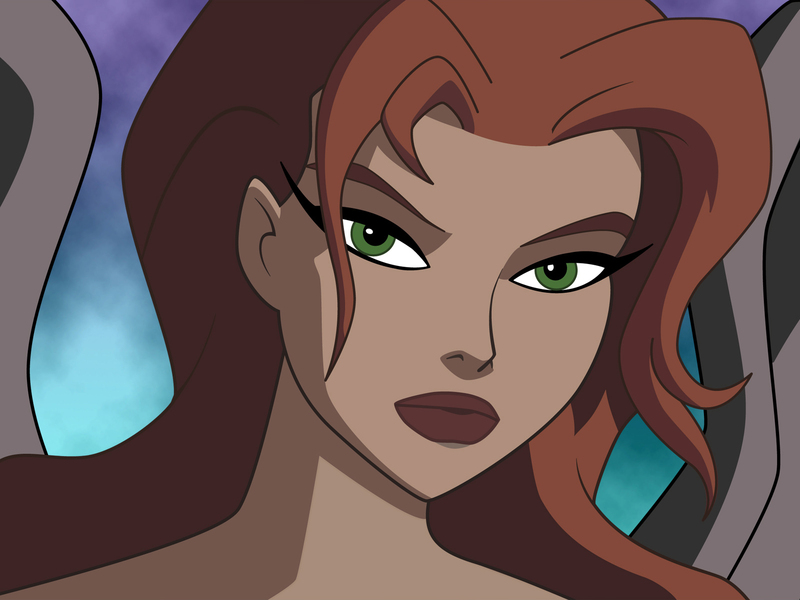 Shayera is a trained fighter and is exceptional in hand-to-hand combat. She doesn't follow any specific style from Earth, but if she had to be exact, she'd merely just call it Thanagarian. Her people are taught how to fight from a very young age and those in the military are the most proficient in it. Mongo technology is far ahead of anything coming from Earth. Shayera can strip down and rebuild complex mechanical systems in no time, even faster for anything made on Earth. Shayera was highly trained and selected for this mission. She was taught how to blend in with the people and what steps to take in order to proceed as planned. Little does she know that she's an advanced scout for an invasion fleet looking to enslave Earth and deplete it of it's natural resources. Shayera is an expert pilot, able to fly herself and able to recognize flight systems on any form of fixed-wing aircraft. Due to Shayera's military background and poor people skills, she's sometimes considered cold and people tend to shy away from her because of this. Shayera has visible wings and has no ways or means of hiding them. This reduces any chances of being able to contain a secret identity. She'll always be recognizable. Shayera understands that she is one small cog in Ming's machine to take over Earth. She has no real power against him but she hopes to develop a strong enough alliance to be able to fight back.